See why people love us! 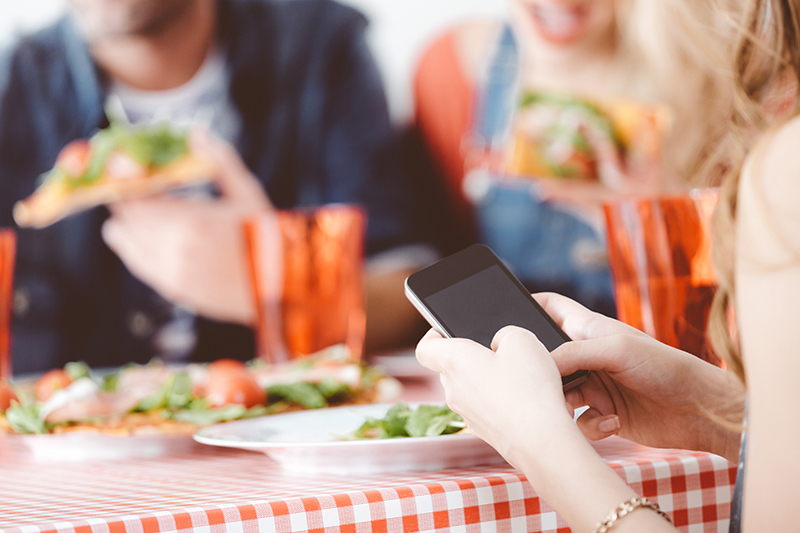 From our versatile spaces, to our fast and superb customer service, and our fresh, high-quality, delicious pizza, see why locals, newcomers, and out-of-towners alike, just can’t stop raving about Roppolo’s Pizzeria. Love what you’re hearing? Stop by and experience everything we have to offer! 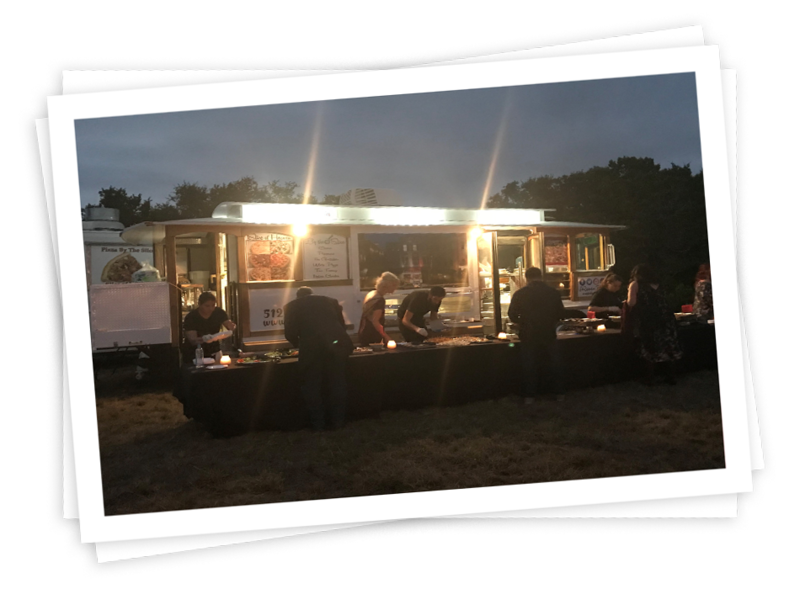 Roppolo’s catered my wedding this last weekend, and it was an absolute hit! Lance was so excellent to work with and always responsive and kind. He was able to meet with us to coordinate getting the trolley on my family’s ranch to ensure that everything went smoothly. The pizza and pasta were delicious and fresh, and the hors d’oeuvres were just as awesome during the cocktail hour. 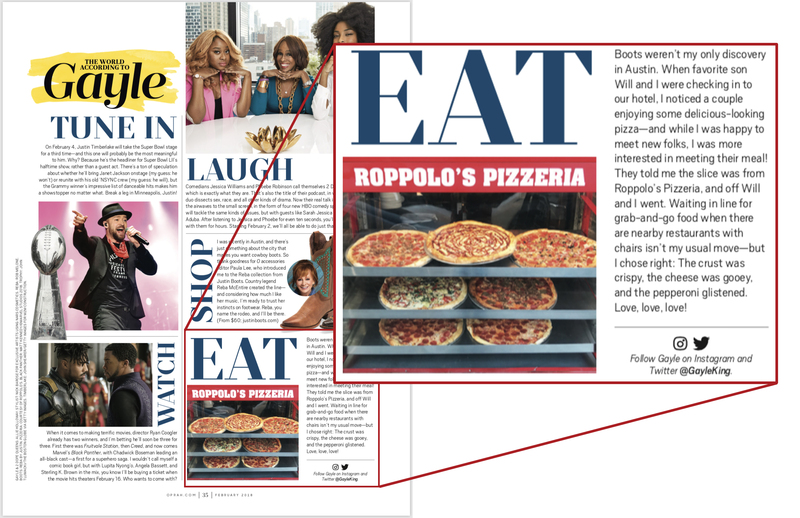 Lance and Roppolo’s were an absolute joy to work with! We came here yesterday on our last day of vacation. The pizza was perfect! Delicious! And the staff was so amazing. We had our 5 month old and they kept her stroller for us while we dined, let us know where the coolest area of restaurant was (it was hot outside) and made sure our drinks were full as we were leaving. I highly recommend this place. Great food and great staff! Can’t wait to go back! The quality was awesome! I’m coming from Chicago where pizza is a huge deal, but I loved the pizza here, the sauce and the sausage were especially tasty, they had a very homemade flavor. Everyone was very friendly! The prices were awesome, the quality was amazing, and the staff will keep me coming back. 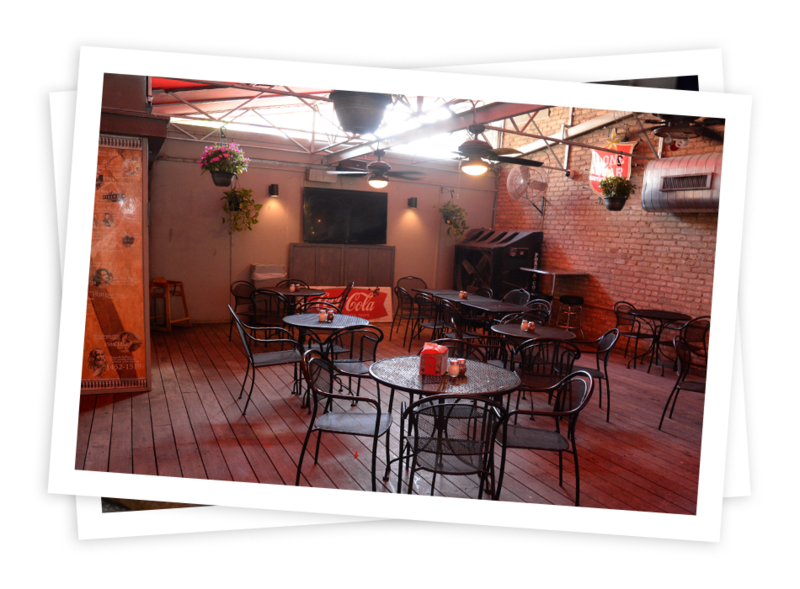 They even have a back patio and an upstairs with huge TVs! 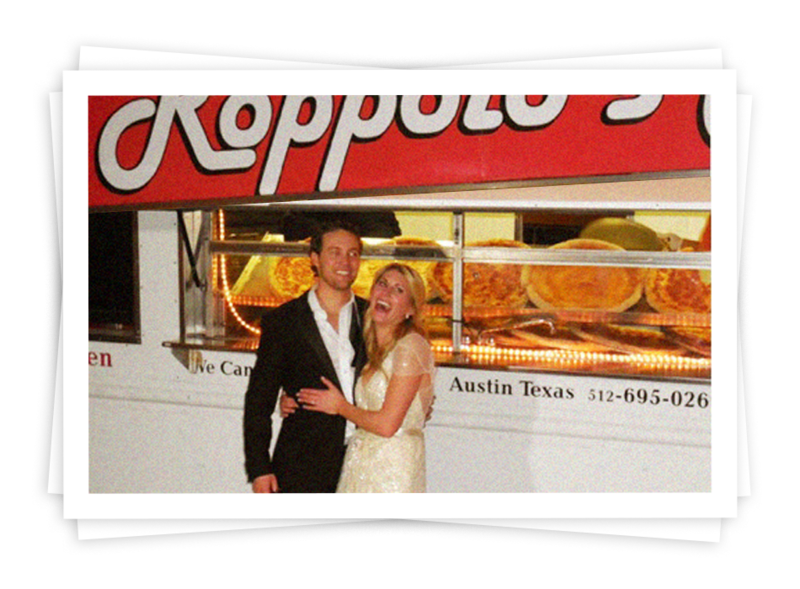 With our first date being at Roppolo’s what better way to cap off our wedding celebration, than a late night pizza snack for all our guests with the Roppolo’s Pizza Food trucks. Our guests loved it! Roppolo’s Pizzeria is the BEST! Amazing pizza only outmatched by their gleeful, endlessly positive staff and management (Natalie’s wonderful! )…left with a full stomach and a full heart. Will definitely be by again! Affordable too. A.B. 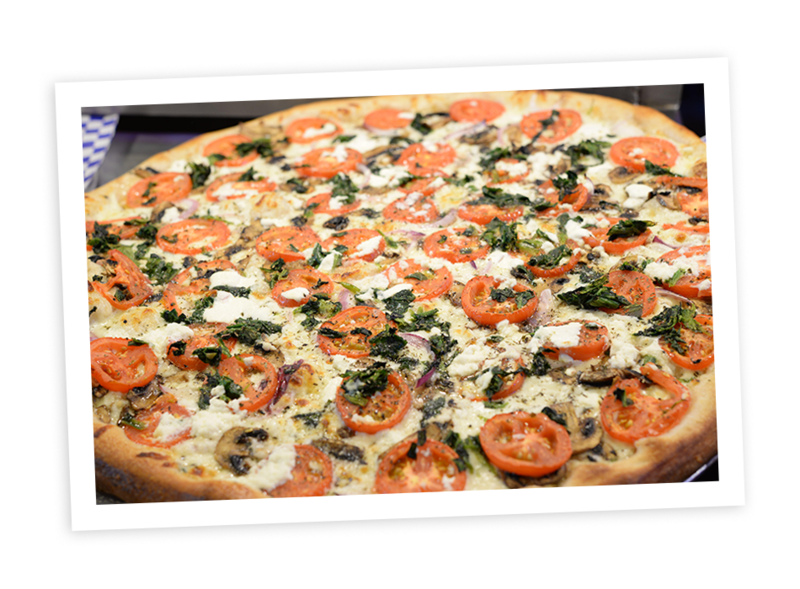 The ultimate way to end a night on sixth street is a slice (or two) of Roppolo’s pizza. Fast service, delicious food and courteous staff makes this a “must” every time I visit downtown. I don’t always eat pizza, but when i do really enjoy Roppolo’s. John H.
I was very impressed with this pizza. I wasn’t expecting Texas to have a go to pizza place like this but grab one and you won’t be disappointed! Big portion size slice as well! My mushroom and pepperoni was so good and it also had a garlicky crust!! MmmMmm! Alyssa B. This spot was awesome! The pizza was amazing. Looks small, but if you keep walking back there is a huge 3-level bar and dining area. This spot is great for watching games and kicking back. Very quick service and a friendly staff. Rebecca P.
We’re no 6th streeters, just a nerdy suburban family, and we got some truly excellent service from these guys. I’m super happy with the delicious pizza, but even more excited about the outstanding service! Way to go guys! Rebecca B.